A new arcade has opened its doors in the neighborhood. Located at 4713 Lankershim Blvd. in North Hollywood, the new arrival is called Free Play Pinball. The business offers all-you-can-play pinball games from the late '80 and '90s, including Mousin' Around!, Bad Cats and Last Action Hero. It also hosts corporate and private events and on-location rentals. 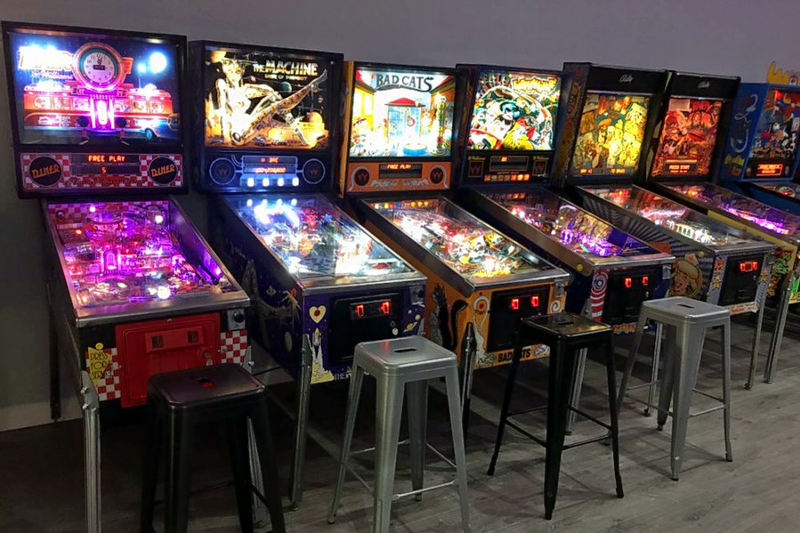 Andrew H., who was among the first Yelpers to review the new spot on Nov. 4, wrote, "Cool new place with lots of great old-school pinball games from the late 80's and early 90's. Favorites include Funhouse, NBA Fastbreak, Cyclone, and Bally's Game Show." Yelper Tiffany J. added, "The drinks and appetizers were phenomenal. The lounge area room by the bar is very cute and nostalgic. The arcade games are so great."